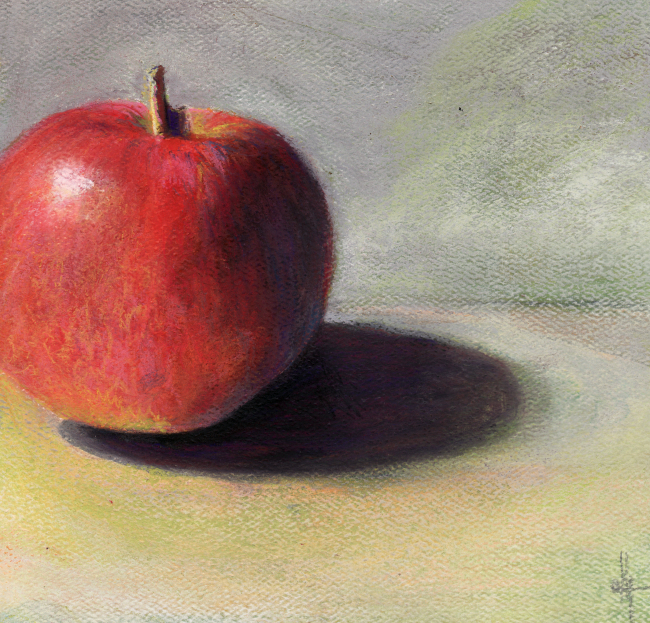 This week I am going to paint an apple everyday. Maybe I will eat one everyday too. In this painting I was hoping to get the fine gradation of the yellow and red lines along the side and I think it worked. The goal of an apple a day for a week is to allow time to experiment a bit. Apples are a good subject for that. Simple. Pretty. And delicious.